My friend had her 60th Birthday lately and I wanted to make a nice card for this occasion. I did not have much time to make this card so I have decided to go with simple red roses as a main theme with additional swirls and leaves around it. Step 1. Start with the roses this time, pick and print the image (such as this one) of the flowers that you want to use and cut out the shape. Next place the print over the red card that you want to use and draw the contour lines (with an embossing tool) so that the details are transferred onto the red card – We’ll use these lines as a template to overlay with paper strips. Now we can glue the paper strips onto the embossed lines. The best way is to glue them from inside of the rose making the way to the edge. Tweezers are very helpful for this part. Step 2. Make a few leaves with green and pearl paper (detailed tutorial here). Step 3. 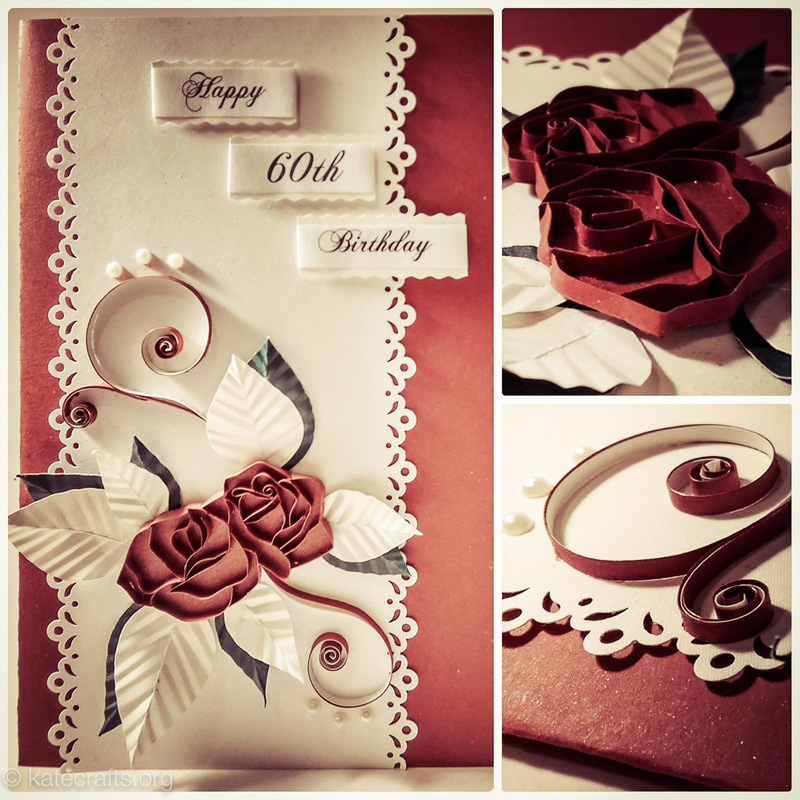 The swirls were made with pearl and red paper strips and decorated with few half pearls. Next Post Video Tutorial – How to make a rose using a quilling needle.